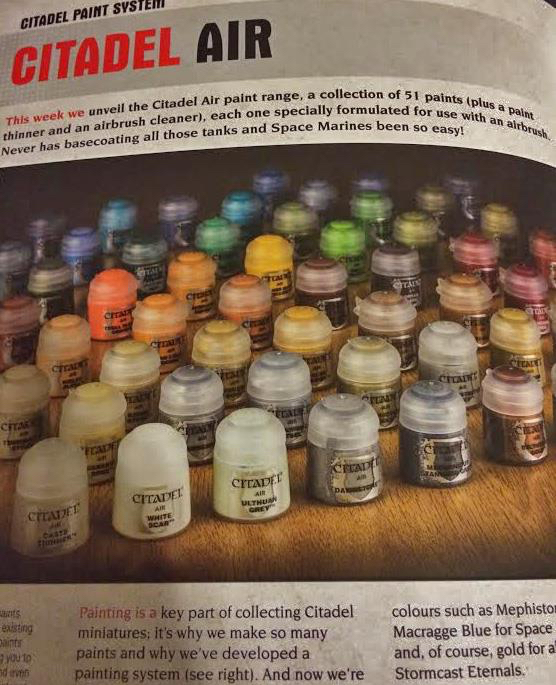 This week's White Dwarf will contain an announcement of a new range of airbrush paints from Citadel. The blurb says these are "specially formulated" airbrush paints but the screen grab offers little detail. There is no indication that these can be used straight from the bottle - like Badger's Minitaire range - for instance. 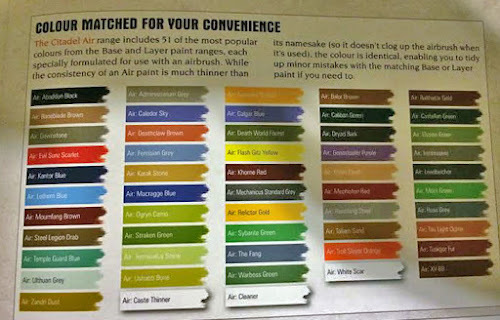 There are 51 of their most popular colours being released which is great from a colour matching point of view. However there is one inexplicable decision with this release - one so large that I think it will impact its possible success. The paints are not in dropper bottles. Why haven't they gone down this fundamental route? 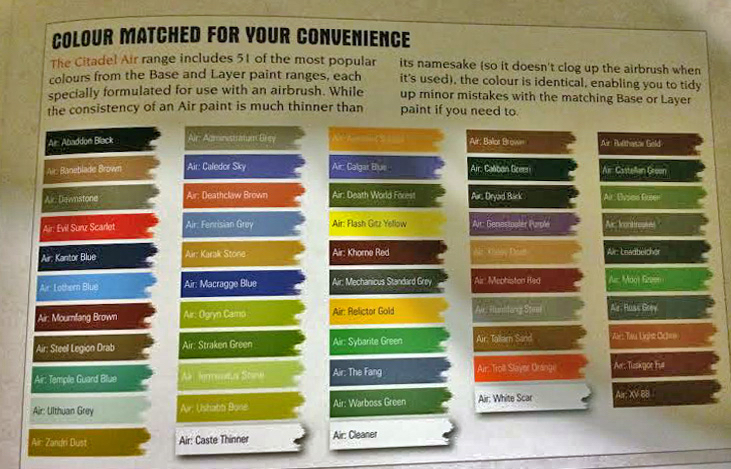 GW paints already have a tendency to dry out and that is disastrous for an airbrush paint. The wide top bottles makes mixing much harder. Fully expect to see GW trademark pipettes released soon.